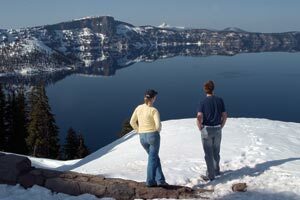 Visitors from Sweden enjoy Crater Lake's majesty. 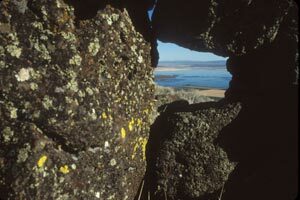 Upper Klamath Basin was once a large lake, Ancient Lake Modoc. museums dot the Basin. And there is water in all its many splendid forms. Upper Klamath Lake as seen from a Running Y Ranch Resort ridge line. lakes and rivers are moving skies that inspire one’s imagination. flooding and drought numerous of times. It is not an easy place to live. All must prepare for winter and a spring that can be harsh and seemingly unending. and rivers. Migrating waterfowl find sanctuary and food here in the spring and fall. this wasn’t the case and wildlife, in all it’s splendid forms, left in search of survival. Petroglyph Point in the Lava Beds. There are many reason this film should be seen? 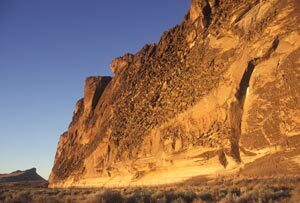 the earth is alive and growing with stratovolcanos and towering fault blocks. 12,000 years. This area gives one opportunities that few places offer. Here, is a story of an ever changing earth. And here is a reflection of man. Anders on Klamath Marsh National Wildlife Refuge. Producer – Director: dedication, discipline and desire. Klamath Water Users and the California Waterfowl Association. is the backbone to all my films. Generation after generation raises our food and fiber. Robert Ganey singing about living in the fields of America. Video shot in the farm land and Tule Lake National Wildlife Refuge surrounding Tulelake, California. Anders shooting southwest at Medicine Lake, Mt. Shasta and Tule Lake Basin. 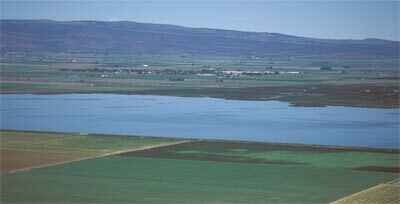 A hundred years ago Tule Lake advanced and receded across the Tule Lake Basin. At that time, the current town of Tulelake was under twenty-some feet of water in the spring. Much of the lake was a shallow evaporation pond. 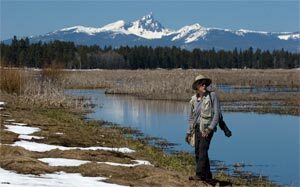 All of the Upper Klamath Basin, of which the Tule Lake Basin is part, is in the rain shadow of the Cascade Mountains. Throughout history, there have been wet periods and dry periods. Tule Lake would fluctuate accordingly. Today, the watershed above Iron Gate Dam comprises 38% of the Klamath River Watershed and provides 12% of the water, in a wet year. 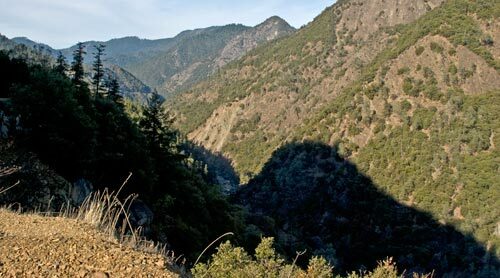 For more geographical information visit Klamath River Watershed . This is the northwest corner of the Great Basin. The Lost River began six miles east of Tulelake and traveled some 90 miles in a meandering circle north, west and south before draining into Tule Lake, not the Pacific Ocean. Today, a diversion canal sends much of the Lost River directly to the Klamath River. The reclaimed lake bed, enriched with thousands of years of waterfowl migrations, has some of the planet’s richest soil. In an era of farmland constantly being taken out of production it is easy to make a case for good soil becoming endangered. This flies in the face of a concept that the next 50 years will require as much food to be raised as was grown in the past 10,000 years. Tulelake Irrigation District receives the vast majority of its water from the Klamath Reclamation Project. The district also has wells that were drilled during the 2001 water shutoff. A few farmers also dug wells. Klamath Reclamation Project was the second effort, following Imperial Valley in Southern California, that proposed diverting water to promote developing the arid southwest. The Federal Government’s recent success building the Panama Canal provided tools, experience and brain power to rechannel rivers, build power dams, irrigate deserts and drain lakes into productive farmland. If people were to settle these developing lands they would need food and jobs. Farming offered both. 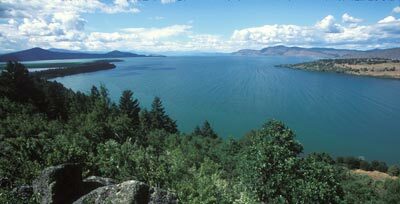 For more information visit Klamath Reclamation history. Farming and Refuge co-existing in Tulelake, California. Today, farming is looked at by many as a problem to be eradicated as if it were an infestation. These are the very same people who need food and water to exist. For those in the urban Southwest who want farming ended to save species there is another alternative, leave the southwest and reduce the demand on resources that many species need. Go somewhere that can support a human population along with the wildlife. This sounds extreme, but, reality is reality and human nature is human nature. Power and water demands need to subside in population centers. Each purchase or activity has multiple consequences, many unintended. Sitting in living rooms and writing checks for political movements and special interests doesn’t remove pressures created by cities which effect wildlife hundreds of miles away. As example, salmon are more impacted by urbanization than anything happening in rural America. Places like Tulelake do more per capita to help wildlife, and humans, than any Southwest city. Places like Tulelake export and provide. Places like San Francisco, Los Angeles and Phoenix import and receive. The story of Tulelake, truly a crossroads in history, is worth telling. FFA, teaching the next generation how to provide. My Face Was My Crime, A Year in the Life and many others. This is an American story of success told by the strong people who make their living off the land in a frontier setting. Welcome to Films That Needs to be Seen. Each of these film projects, on the right represented by categories, are modern American Stories worth telling. Rural life is presented as the daily challenge it is. If one climbs to the top of the mountain, as I did, and spend years watching these stories unfold, one would be amazed by man’s wide range of sensibilities and behaviors. These are survival stories in rapidly changing times. Up to now they usually are told by agenda-driven-carpet-baggers rushing by in search of a pension. This doesn’t do fish any good, and it doesn’t do people any good. It perpetuates business as usual in a new era where business is failing to manage many present greed driven dangers and complex social challenges including providing pensions. But bottom line, these are stories of migration and subsistence. Anders Tomlinson shooting on the Trinity River in the spring time. Shakespeare would have had a field day with these Klamath River Watershed plot lines. Events shape action and actions create unintended consequences. Here, good people are capable of doing bad things and bad people are capable of doing good things. Here history, as passed down by those who were influenced by elders who recall their elder’s words, perpetuates strange bed-fellows and lingering feuds. The drama is driven by those who have nothing to lose, or think they have nothing to lose. This group includes news media, hired scientists, fund-raisers, PR folks, politicians, lawyers, federal agencies and judges. Conflict is fueled by Indian resentment of the White Man for past sins and non-Indians anger at perceived special treatment given to the tribes. There is also bad blood within and amongst the tribes as well as between Anglos, Latinos, Asians, Blacks… On top of all of this Modern Man is trying to maintain wildlife populations at a level where they can be sustain-ably harvested. and regions of rural and urban America. Filming the Klamath Basin Watershed took over 100,000 miles of driving and covered maybe 5% of a vast region that has been marginalized by human interest groups. The Stories are in the Can. What Can We Learn From The Klamath River Watershed? The human population is growing, and growing and growing. Traditional resources are diminishing as needs increase. Humans need to eat. Productive farmland, used for farming, is arguably the most important land we have. Humans build structure and infrastructures and create products to market. This is what humans do. Building a freeway through a wetland is a natural thing for humans to do. The freeway was made of products man found, transported and configured into materials that became the road. What is unnatural about this? Humans do what humans do. The true question is was it in humans’ best interest to build the freeway in the first place? And the answer is yes, no, maybe and maybe not. The freeway will benefit some humans and it will harm other humans. New freeways rarely make life easier for other species that live there. What happens if humans’ build a freeway through fertile farmland? The answer is simple, there will be fewer productive acres to grow more food needed by an expanding population. Does this sound like a smart thing to do? Growing populations and changing climates have led to human migrations and wars throughout recorded time. And what happens when humans create farmland out of wetlands? The answer is multiple causations. Farmland feeds humans. Food does not come from Safeway, it comes from dirt managed by farmers and ranchers. Protect productive soil, it is all we have. 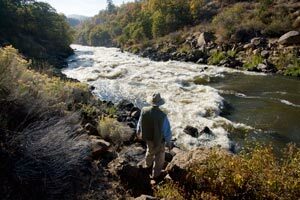 What do you know about Klamath River water issues? 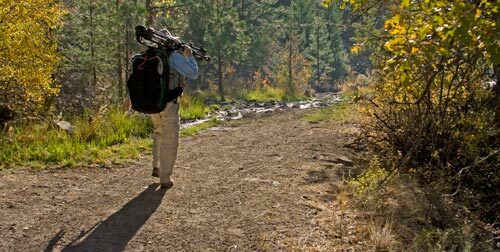 Do you know where the Klamath River is? Do you know its history? Have you hear about the Water War of 2001? Have you heard about the Water Situation of 2010? What I am going to write will upset many humans and please others. Will I be writing about fish versus potatoes… Indians versus farmers… environmentalists versus natural resource producers… guilt greens versus money greens… reds versus blues… black versus white versus shades of grey…? The answer is none of the above. I did this drawing when I was 5 years old. My dad's tuna clipper, with a crew of twelve, could be gone for nine months and return with 120 tons of tuna. The giant fish were caught by poles with men in ocean racks off the stern. At times, three poles were connected to one line. I am writing about human nature. And today, the drama of human nature escalates in what many know, erroneously, as the Klamath Basin crisis but which is really humans manipulating-managing Klamath River Watershed resources. Invisible Elephants in a Porcelain Forest. Populations! There are humans worried about the Coho salmon population. There are humans worried about the Sucker fish populations. There are humans worried about the Spotted Owl. There are some humans, usually living faraway, who worry about all of these populations. There are humans who are worried about a growing number of wildlife populations yet to make the endangered headlines. And, there are humans worried about their families, towns and ways of life.. But there is one population that goes largely unnoticed, the human population. Without humans would there be population problems? Ask the tree falling from old age, storms, fire, ice drought or flood or… Would this tree make a sound without humans? The human is a by-product of wildlife extinction. This is not a new phenomenon. Meteorites strike the earth, super volcanos explode, ice ages come and go, predators wipe out their food supplies and perish… And on and on as our little planet, spinning in an expanding universe, hurdles through a space whose ever-increasing scale defies human comprehension. In my lifetime the global population has doubled. Around the world one billion human are hungry and do not have access to clean water. In the United States, hospitals, schools, prisons, unemployment lines, and bankruptcy courts are overwhelmed by the masses. Addictions are increasing, kids are unhealthy, teens unsatisfied, food production challenged, and transportation- water-power delivery systems are stressed by population pressure. Cities, counties, states and the Federal government find it difficult to cover expenses. Most people would agree this is reality, it is not good and changes need to be made. They feel constraints. They see their expectations not being met. Parents realize that their children’s futures may not offer the same opportunities they had. So what are we going to do about it? Effective change begins with understanding your own watershed, not somewhere else. Rebuild the future one neighborhood’s watershed at a time. An Unspoken Truth that Echoes Across All Habitats. In days of old if it became to crowded, one cross an ocean and find a new frontier. Where do we go today? And the answer isn’t space. At the moment, we only have beds for six people orbiting earth. And what does all of this have to do with Coho salmon? It has everything to do with it. Coho salmon populations, suckers populations, human populations… Which population has the greatest impact on the other populations? Which population needs the most help to be able to help other populations? Ask yourself a simple question, what will your neighborhood be like in twenty years? Sooner, or later, human population will be become a political issue. This is a t-shirt that I designed in 2000 for the Bald Eagle Conference. It is now called the Winter Wings Festival. It seems folks grew weary of the Bald Eagle recovery effort. Speaking of economies, the humans who create crisis are the humans who make money “fixing” the crisis. This leads to unintended consequences in the name of saving mother nature. Over time the greatest motivation becomes not species protection, it becomes job creation and job security in search of benevolent retirements. If you think planet Earth really cares what happens to humans try finding a dinosaur to fill out your Wednesday night poker game! Next installment: Those Who Create Crisis Create Crisis.